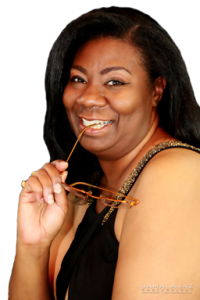 Jamala-Ms. J has been writing for 35+ years. She currently resides in the Atlanta, Georgia Metro with her musician/videographer husband. She reads almost anything and writes mainly fiction. She dabbles in poetry, prose and other non-fiction works. She has been published in regional magazines and newsletters. She is currently working on another collection of short stories. She has several collections of short stories, which include And I Trusted You, What Is This World Coming To? and The Run Trilogy. Jamela-Ms. J also has a few standalone short stories and flash fiction pieces; Quickie, Cruel Intentions, Your Love, Family Gathering, Mr. & Mrs. Santiago and Unknown Factor. The Run Trilogy is a compilation of three short stories (Hit and Run, You Better Run and Who’s Running Now). A novella, Kidnapped in Love was released in January 2014 and a 2nd edition has just been released. She enjoys, reading, singing and obviously, writing. Jamala-Ms. J believes everything good will take hard work and is worth having, especially if it benefits others. I can write no matter what I am doing. I can see something, hear something or even taste something and create a whole story around it. I type up my concept for a story, then do a character outline and then develop my plot. Once the plot is developed, I do a very brief chapter outline. However, there are times where I do not outline anything and just start typing. In these instances, it is easier for me to stay on track, (funny since there is no track). Yes. I do. Of course ,family members laugh at me. Write, read and never give up. I had submitted my manuscript(s) in the past to traditional publishers and received numerous rejection letter. So, I decided I wanted to save myself from that pain and decided to self-publish. It has been a great decision for me and I have been doing it since 2010. I believe that traditional publishers will have to expand or rework their business models to include self-published authors. The heartache and pain of using a traditional publishers is too much for some to bear. I know of a few people who frown on self-publishers and swear that a person is wasting their money. However, they do not realize that everything a self-published author pays for, the traditional publisher charges for and this money comes out of the author’s royalties. So no matter which way the book is published, the author pays, either upfront or on the back end.